Senate Democrats are resisting the Federal Communications Commission and its Donald Trump-appointed chief Ajit Pai’s proposals to radically change national standards governing access to and the quality of home broadband, Ars Technica reported, but it’s unclear whether they will be able to do more than stall him. Pai’s proposal would change Barack Obama-era standards implemented under former chairman Tom Wheeler which are used to determine whether broadband providers are rolling out access to quality internet on a timely basis. Currently, the FCC defines acceptable broadband access as 25Mbps downstream and 3Mbps upstream, and additionally requires access to mobile services; but as Ars Technica noted, Pai wants to redefine the standard to allow providers to substitute mobile internet at a speed of 10Mbps. That’s less than half the speed of the current broadband standard. In other words, under Pai’s proposal the FCC would count living in a cellular service area, with all of its associated slower speeds, data caps and higher monthly charges, as an acceptable level of service for residents. This is important because the FCC currently is required by law under the Telecommunications Act of 1996 to “take immediate action to accelerate deployment of such capability” if broadband providers fail to pull their weight. If Pai redefines the standard downwards, it would thus create a situation in which the FCC could pretend millions of people who currently have inadequate access to the internet actually do—never mind that broadband and mobile are used for very different purposes. As Ars Technica wrote, last week 12 Democratic senators wrote a letter to Pai, urging him to extend a public comment deadline which would have expired on September 7th by 30 days. That’s an action the FCC agreed to take on Tuesday, moving the initial commenting deadline to September 21st and the response deadline to October 6th. “... Such a striking change in policy would significantly and disproportionately disadvantage Americans in rural, tribal, and low income communities across the nation, whose livelihoods depend on a reliable and affordable broadband connection,” the senators wrote. Millions of Americans, particularly in low income, rural, and tribal communities, continue to go without acceptable broadband access. The lack of service or high-speed internet is preventing individuals in these communities from applying for jobs; their children from doing their homework; and many small business owners from running businesses out of their homes2. Without a reliable and affordable broadband connection, the economies of these communities will be hampered and these Americans will fall behind. Under current law, the FCC is required to take steps to deploy broadband that supports high-quality telecommunications capability to all Americans in a reasonable and timely manner. It is the Commission’s statutory duty—and present policy—to bridge this digital divide. While the extension of the comment deadline is a small victory, the FCC is only required to consider those comments when making its final decisions. Under Pai, the agency has shown a flippant disregard for the commenting system, including claiming without any evidence a distributed denial of service attack crashed it at the same time net neutrality supporters were leaving millions of comments. One recent analysis of the comment system suggested the vast majority of comments the FCC received on separate net neutrality rules were spam, though proponents of open internet rules still outnumbered opponents 1.7 million to 24,000. If Pai cannot be dissuaded through political pressure, as seems overwhelmingly likely, it’s unclear what can be done to stop the rule change from proceeding. The FCC board of commissioners is controlled by Republicans. 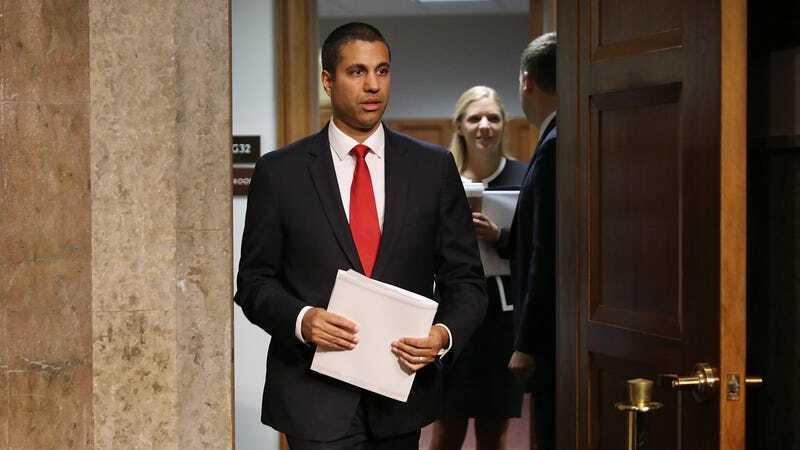 Both the House and Senate committees which currently hold oversight powers over the FCC are also controlled by Republicans largely amenable to Pai’s plans. The commenting system page for Pai’s proposal can be located here.